I've been using the 3ds Max Exporter to try and upload a 3d model meant to be used as a floor for the polycount tower project but have been trying to troubleshoot errors for the last 4 days in the upload process. The error I get while uploading is: Runtime Error: dotNet runtime exception: An existing connection was forcibly closed by the remote host. It managed to get to the stage of uploading 3456 kb of 514924 kb. Any help will be gladly appreciated! You could also upload without textures, and add them manually in the Material Editor, then they won't count towards your limit. I did what you suggested and exported an OBJ with a material library compressed into .7z format and the file size got shrunk down to 156MB so I'm going to have to wait to get a Sketchfab Pro account before it can be tested. I've also managed to successfully upload an FBX without textures and have only just worked out how to upload materials in the material editor. I didn't think it would be possible as the light bake unwrapped all of the textures and made it one material which is what I thought the FBX upload would be like too. The only problem with adding the textures this way is that I'm going to have to name every single material in the scene as well as converting all of my psd files to jpegs which is certainly a workaround. It would be good if one could automatically upload all textures in the material editor once uploaded! @frekky12 - Great! You should be able to upload multiple textures simultaneously (just ctrl-click / shift-click to select them all), but you'll still have to apply them to the material slots one by one. And yes, PSD should work when included in the upload, but not through the material editor dialog. Sorry for all the work arounds, but I'm glad you were able to squeeze into the file size limit! How can I upload a model in pose? I use Blender with Armature. When i upload the model its always in T-Pose. @samanthafritzsch - we don't support rigging / bones / armatures yet. For now, you'll have to freeze the mesh or save it with transforms applied (sorry, I'm not sure what the exact terminology is in Blender). We hope to support these kinds of features in the future! Are Sculptris models planned to be supported for upload? 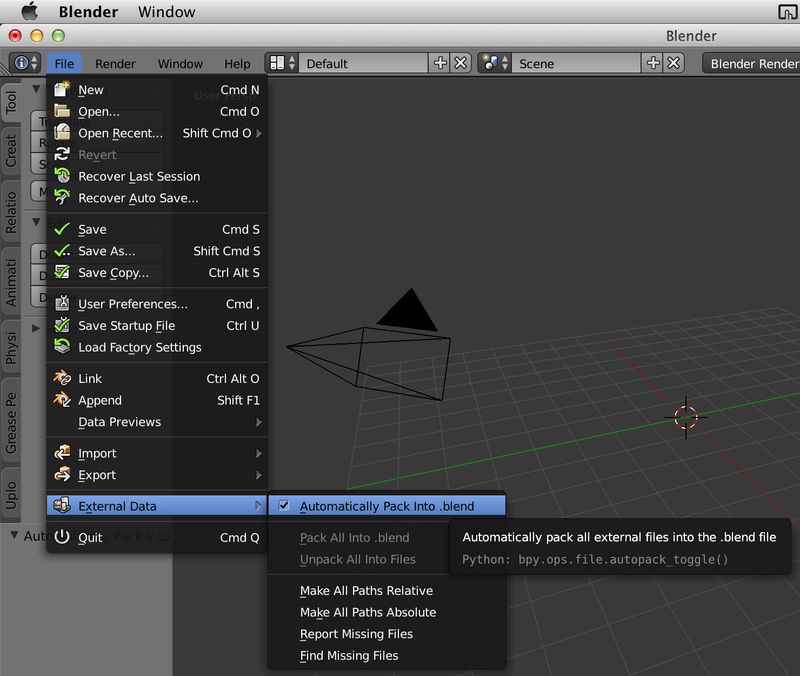 @blade113 - Sculptris can export OBJ files, which we support. @James Oh, I didnt know that. I have a .sc1 file here, thought it's the only way Sculptris can save models. Thanks! I'm trying to run sketchfab on Maya 2015 but every time I click on the exporter icon in the CUSTOM tray, Maya just crashes over n over, attempting to save to the typical temp folder @ crash time. Is there something I did wrong? I ran the installer per the instructions, I just can't get to the part of entering my API code. @hugoboss - Can you please give me some more details? Does the Maya console ( Windows → General Editors → Script Editor ) give you any warnings/errors when you try to run the exporter? I am running the newest version directly from this site. I even tried reinstalling it from scratch but top no avail. My system is Windows 8.1 Pro 64bit with 12GB of RAM, AMD FX 4100 Quad Core, 3.62 GHz, and an Nvidia GeForce GT 640 card on a 48 inch flat screen. As for the Maya console, it doesn't give any errors i can see at the moment i click on it, then again i can't scroll through it after clicking the icon since i automatically get the crash dialogue blocking interaction with everything. from what I can see on the screen though it just looks like it runs a check of sorts on plugins perhaps, i'm not sure. Perhaps this may help...by default Maya loads up with all plugins loaded. I was thinking maybe something there may be conflicting with it. I also did do as per the instructions and set the settings on the export options menu verbatim. I did send off the crash report but I've never received any reply from autodesk after sending any reports to them in the past either. so I'm not holding my breath with them on this. Any clues? any other data/info I can provide to help? Hmm, I'm not sure yet. Can you go to the Script Editor → Python tab. Enter "import Sketchfab_Uploader" ( http://puu.sh/j94OF/efa22685b3.png ) and Execute the script ( http://puu.sh/j94U0/46686cbcaf.png ), does it crash or give any error? i'm trying it right now. will it matter if i have a scene loaded or no? since it's crashed every time regardless. just hadnt tried your method you just mentioned. If you're able to import the library without error, it means something goes wrong when actually running the exporter. ok, so i execute the code "import Sketchfab_Uploader", it takes a second or so then i get the crash error window dialogue. Along with a line of info which i can't scroll through to copy. What I can see though says, "pymel.core : Updating pymel with pre-loaded plugins: Dgprofiler, mayaHIK, Mayatomr, stringFormatNode, ikSpringSolver, SnapRuntime, udpDevice, retargeterNodes, ringsTexture, denimTexture, measure,"...(this is where it cuts off screen unscrollable). the next 2 lines say, "file -type mayaAscii; Result: untitled.ma //" All I can do at this point is just hit ok to let it attempt to save and it closes down Maya after popping up the crash report module. im not really advanced enough in python to understand all this jargon. But from a glimpse it looks like it may be the "PolyTools.mll" plugin that is causing the crash. So ill try turning that off and see if it works. Strange since I've never had it crash with other plugins, the list is quite long. Yep, that's pretty much what I figured out, too. Everything in the Call stack means nothing to me, but "Fault address...MayaBonusTools...PolyTools.mll" looks promising. yup it worked. without a hitch. now if we can sort out what is the actual problem between em even better. But I am glad it worked so i can get my portfolio up finally. :D thanks for your help so far. Awesome! I have no idea how to figure out what's conflicting. I'll ask the plugin's developer. ya no problem delete that post... that was the full log though. ill send it to ya too. Hello. Can anyone please help me? I am trying to upload some models to sketchfab using Blender in-built addon. It uploads the model perfectly but textures seem to be missing. It does not upload them at all. If I upload a .zip with a model and textures, it does not apply the automatically to the model. I have to assign very texture to a material. It seems like it is ingoring .mtl. @skarn - I'm sorry you're having trouble. Do you have "Automatically pack external data into .blend file" enabled? @James - Thank you, James. It worked! Почему нельзя загрузить просто файл (мах ) ? Неделю не могу ни чего найти что бы формат поменять на другой , и закинуть сюда свою работу. @stroporez79 - Sorry I don't speak Russian. If you're using 3ds Max, try the exporter: https://sketchfab.com/exporters/3dsmax, or manually export OBJ or FBX. Processing MAX files ourself would be very difficult because it is a closed, proprietary format. I have made several attempts to upload a 3Ds model..when it comes in, there are pieces that have been shrunk down to tiny , almost invisible size and repositioned in the model. any ideas?